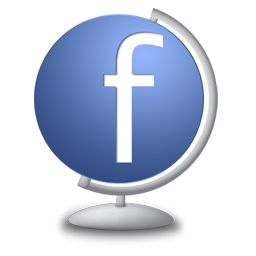 HL Supply Blog: Should Small Engine Repair Shops Have Facebook page or a Website? Should Small Engine Repair Shops Have Facebook page or a Website? that your small engine repair business could try to do without a website. One could be tempted to simply rely on the free and largest social media network of all time for the sharing of company info. Oh wait, remember what you learned in grade school about "assuming" though? Yeah, let's analyze instead of jumping to conclusions. Facebook business pages are good, and can be fun. It's a fantastic venue to update the public on related things in short little bursts, with photos or videos too. Sometimes they will engage with you in return. The more engagement you get flowing, the more your stuff gets shown in the news feeds of your users. You gain free and instant access to a growing customer base. Some think Facebook is the way to go, just based upon the sheer size of membership in that network. Note that all of the millions of people using Facebook will not be seeing the updates you make on your page. Besides, you can get way more traffic from search engines to a regular Web page than you can get on Facebook. Those who engage with your Facebook page will see your posts, and so might their followers, however, if they get disinterested or bored and stop engaging with you, you stop showing up in feeds of their followers and get way less exposure for your posts. You’ll have to work hard to gain an audience, and harder to keep them, just as you would with your own website or blog. Using a Facebook page both socially and for a business website may seem like it would make the work of building an online presence simpler, easier, and cheaper. It is often entertaining, even helpful to communicate with users in that public forum, but Facebook does have its drawbacks. Relying solely on Facebook could negatively impact your small business marketing. Messaging and following individual people from a Facebook company page is problematic. Facebook policy changes are frequent and obtrusive. It's a big company and makes decisions that best suit it’s own business objectives. Publicly talking about a customer’s particular bill or their equipment repair is often best dealt with by email or phone, not aired in public. Whatever you post on your Facebook page, including offers, promotions, and updates, all get pushed down and out of sight as you post more on top of them. Any content you post can be used by Facebook for their own purposes. Your Facebook page will lack any brand control. You can have a background photo and even your logo as your profile picture, but it’s still a Facebook page by color and layout. Your customers will never give the complete brand experience that a dedicated website will provide. Most importantly, valuable information about your business isn’t very easy to find when a user visits your Facebook page. If they find the wee li'l link, they can read a tiny bit about you, like your address may be there, along with your phone number and maybe some reviews, but that isn’t enough. Many potential customers want to learn a little more about who you are and what you’re about. 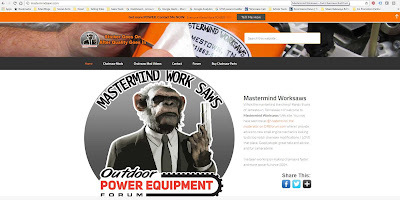 In comparison, a dedicated website like mastermindsaws.com enables you to completely control your brand and acts as a main hub on the web where interested, potential customers can go for all the information they’re looking for, and even book appointments or make payments. You can't easily do appointment setting or accept payments on Facebook. Regardless, people look to Web sites for more information, not Facebook pages. In fact, I'm able to track where clicks into Web sites come from, and I commonly see that they come from Facebook pages. This tells me that people move from Facebook’s limited environment to an actual Web page to research more before buying. Being listed in search engines is by far the best exposure a business can have. A full blown Web site has way better advantages to get multiple listings on search engines. While a Facebook page may eventually show up in a search engine a tiny bit for a limited amount of key words, but it cannot be optimized for search engines nearly as well as a full website can. Facebook pages will remain almost invisible in search engines. Optimizing a site for the words that customers use when they search for small engine repair shops is the key to your business. Unlike a Facebook personal or company page, a Web site enables you to tailor your content to many more common phrases and keywords your customers are searching for. I am not suggesting that you should not have a Facebook page for your small engine repair business. I'm saying that it is not nearly enough. To create the kind of digital presence that is required for a small engine repair shop to succeed in today’s competitive world, a real website is necessary. Web sites can be expensive and Facebook is free, but you get what you pay for. There are many other free social networks other than Facebook too. The best strategy is ALWAYS a multi-channel approach (various networks) all pointing to a well built, helpful, and informative website. A website should be a BIG part of your online presence, but it's never all there is to effectively market your business, and Facebook isn't the only other option. Start with your Web site, then open a Google+ Local page (formerly Google Places) before you begin a Facebook page. Link all of your “presences” together so people can participate on each. This activity will aid your progress up the ranking with your Web site's search engine listings. Google+ Local is essential for small engine mechanics because their clients are locally based. Search engines can tell when a searcher is looking for something that has local intent. They know that somebody currently in Timbuktu wouldn't search for lawn care help from Daytona Beach, Florida. They'd want that kind of help to be local. Certain things are consistently searched locally, and small engine repair would be one of them. So Google for example will display local search results paired them with Google+ Local results. Having a Google+ Local listing is critical to appearing in those local searches. If you don't have a review system on your Web site, you can inform customers that they can review your business on your networks such as Facebook and Google+ Local. For a giant list of ways to market your outdoor power equipment related business, read this free ebook. Here is a prioritized quick list of social media channels you should update regularly. Blog. Make regular updates to your own Web site. Facebook YouTube Twitter LinkedIn Business Profile page Google+ for Your Business (see above). Pinterest Flickr Free listing directories like Maperoo.com, Yelp, Foursquare and your local chamber listing. (links from these will also help your search engine success. I'm sure there will be more popular, suitable networks in time, but for now the above list covers what you need. HLSupply wants you to succeed. We're here to help you prosper whenever possible in this tough and competitive world. Until the next time, feel free to comment or ask questions. Sure would like to feel the love. Please review HLSupply on Yelp. Steve Chard is a Web marketing expert on contract to HLSupply, LLC.